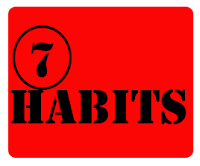 Developing good habits is essential in achieving success in whatever goal it is that you might have. 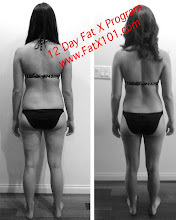 If you're reading Fat X 101, most likely, your goal is to become more fit and to lose body fat by increasing your body's fat burning capabilities. In this post, I will go over 7 habits that will help you achieve your fat loss and fitness goals. These 7 habits will go a long way in helping to improve your fitness level, health and metabolism, which will all in turn help you fat burning capabilities. Before I get into these 7 habits, let me give a quick and easy definition of "fat burning" so that we're all on the same page. By fat burning, I mean the breakdown of body fat via a boosted or enhanced metabolism brought on my specific diet, lifestyle and workout methods. So with that out of the way, let's get into these 7 Habits to Increase Fat Burning. Habit 1: Drink at least one glass of water before every meal. This has many benefits. One, it will help pre-load your stomach. Two, it will prevent fatigue, both mentally and physically (symptoms of dehydration). Three, It will help digestion. Four, it will help your body run it's metabolic functions including but no limited to delivering nutrients. Habit 2: Make healthy "Fat X Approved" snack bags and or platters. By having snacks readily available, you will stay on track with you daily nutrient requirements without straying away and adding excess non-nutritious calories from junk food. I've had clients tell me they have trouble eating 6 meals a day. Usually it's because they feel they need to sit down and have a three course meal every time. A snack bag can be considered a meal and can fill in gaps between breakfast, lunch, dinner, and bed time. I would suggest foods such as nuts, veggies, low fat cheese, jerkey and berries for these snack bags. Mix and match the food in you snacks to your liking. Habit 3: Make time for physical activity every day. By physical activity, I don't mean you need intense workouts or heavy exercise every day. This just means to move your body more than the average person. You can do this by parking on top floors in a parking lot and taking the stairs. You can also do this at work by skipping the elevator as much as possible. Instead of driving a few miles to run errands, make it a walking adventure. All in all, try to drive less and walk more. Habit 4: Plan your meals. Planning is a requirement of successfully achieving any goal. Diet is essential in achieving a fat burning and fitness goal. Your meals make up your diet. Therefore, make sure that you plan your meals so that you can successfully achieve your fat burning and fitness goals. "If you fail to plan, you plan to fail." Make it a habit of knowing today, what food you will eat tomorrow! Habit 5: Take mental breaks. If your mind is stressed, your health will suffer. Take time to unwind every day. Five minute mental breaks can go a long way. Get in the habit of taking a few minutes to pray, meditate, zone out, day dream and or think of all the good things you have going for you in your life. These few minutes of positivity will go a long way in relieving stress and improving your health. A healthier mind, will pave the way for a healthier body. Habit 6: Strive for better workouts. Going to the gym is good, but going to the gym and getting a productive workout is better! One way to do this is to log in what you're doing at the gym. Then, do it better, do it faster or do it with more weight. My Fat X Program requires that you track your workout so that the next time you do it, you have something to shoot for, times to beat, more work to be done, a challenge to accomplish. This forces your body to push itself in order to adapt. That extra push is one of the factors that will create the intensity required for a good after burn effect (EPOC)(Excess Post-Exercise Oxygen Consumption). And this folks is one of the secrets to boosting your metabolism with a fat burning workout program so that you can burn body fat even while at rest. Habit 7: Drink coffee or tea. Tea and coffee are healthy beverages you can consume which not only will help in boosting your metabolic rate (metabolism), but they also have a variety of other anti-oxidants. Some of these habits to increase your fat burning capabilities I've gone over before, but with Spring around the corner, and everyone now motivated to get their Summer body, I thought I would bring them back up and wrap them up into one article. 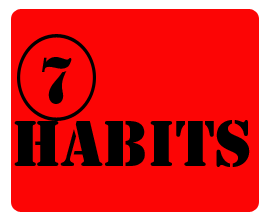 These habits are things that I work on getting my private clients and boot camp members to do consistently, those that do, get great results, and those that slip, I make sure to get on them and find strategies to help them implement all 7 habits on a daily basis. If you're in the Pasadena area, contact me if you're in need of a fitness coach (personal trainer). 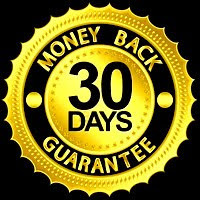 If I can't fit you into my schedule, I'll make sure to recommend another fitness coach or personal trainer that I trust in or around the city of Pasadena. As always, feel free to contact me with any questions on fitness, diet and or my 12 day Fat X Program.